Wildlife is dying; swimmers and waders are told not to enter the water. We have delivered petition letters with hundreds of personal comments to the two governments that continue to spread fertilizer on their lawns during the summer months - Town of Jupiter Island and Palm Beach County. Jupiter Island will deliberate on a new fertilizer ordinance at an upcoming meeting. Palm Beach County has yet to respond. ORI partner, Captain Nan Beaver has called on Martin County Commissioners to request that the Governor declare no summer fertilizing for the state of Florida. Join with us in addressing this catastrophe. 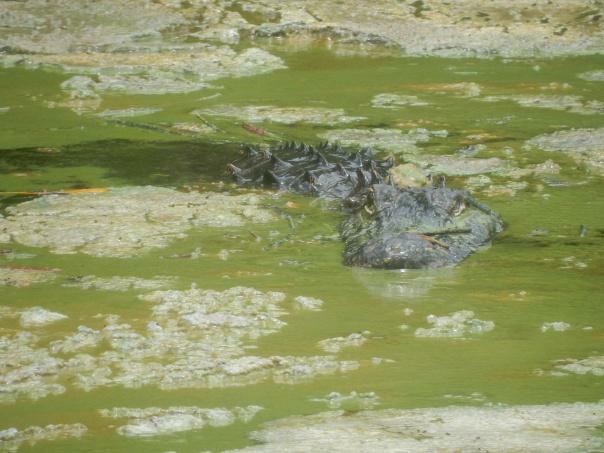 The slime clogging Florida waterways and the stinking, oozing, green algae that is coating the shores is actually bacteria with the deceitful name of blue-green algae. It can cause liver and kidney damage in humans if ingested and painful rashes if contacted. In addition to the algae's toxicity, fish and other wildlife are dying due to a depletion of oxygen in the water from rotting algae. Florida harmful algal blooms must be stopped. Now would be a good time to support us with donations and to help spread the word. The need has never been greater. Join in our Save Our River national campaign by becoming a fundraiser and set up your own page to share with friends. Together let's get the muck out of our waterways! Peter Willcox, Greenpeace captain, spoke with Rob about actions described in his new book. First we learn about people of the Marshall Islands suffering horribly from nuclear fallout poisoning when we detonated a nuclear bomb a thousand time as powerful as Hiroshima. When our government refused to resettle people to a cleaner place, Greenpeace moved the population. In the Philippines, Greenpeace overcame resistance and moved American military toxic waste to the American Embassy. In New Zealand, the Greenpeace ship was sabotaged by blasting killing a member of the crew. The ship was destroyed. Greenpeace travels north of Russia to draw attention to a supersized oil rig far above the Arctic Circle. With surprising Soviet ferocity, the "Arctic 30" are thrown in prison. Many conditions are bad and worsening. Despite it all, the Captain maintains an upbeat can-do attitude driven by a passion for humanity. Click here to listen to Peter Willcox talk with Rob. 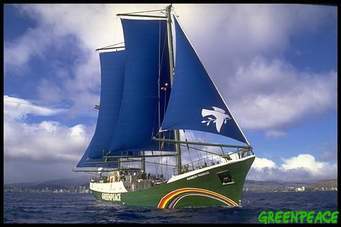 Click here to purchase Greenpeace Captain and benefit ORI. Monponsett Lake is located in Halifax, in SE Massachusetts. The lake consists of two basins, East Pond and West Pond, separated by Route 58. There is a frightening visible difference between ponds. 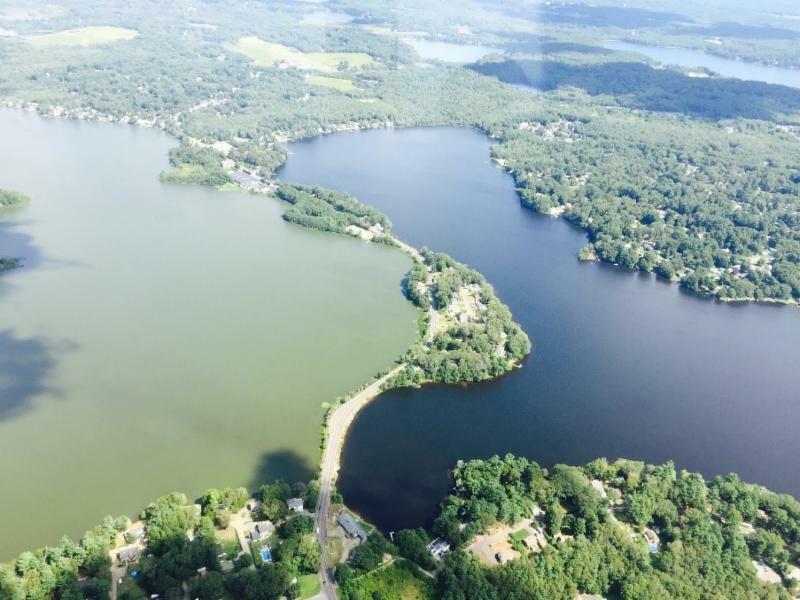 The East Pond appears normal; West Pond is bright green smothered in harmful algal blooms. The EPA has issued a bacteria advisory and advises against any type of recreational activities. Halifax, a town that hosts many waterfront activities and events, is not happy. Summer Intern Tianna has corresponded with the local watershed association. Read Tianna's blog posting for what is causing algal blooms and what is being done to get the green muck out of town. Join ORI's Fan page on Facebook. Help us reach 3,000 likes. Now you can give right on Facebook. ORI has partnered with GoodWorld.me, which allows you to make a donation to your cause anytime we make a post asking for people to #donate. You just comment #donate and the dollar amount. We'll respond with a quick one-time form to confirm your donation. Moir's Environmental Dialogues, Ocean River Shields of Achilles. Choose from over a hundred podcast episodes, also available free on iTunes. See what others are saying about ORI and why we are a five-star nonprofit on Greatnonprofits.org. joining Opinions 4 Good (www.Op4G.com). Consider donating 100% of your earnings. Wear with pride ORI logo items. Visit our "Ocean River Ducks and Paddlers Store". 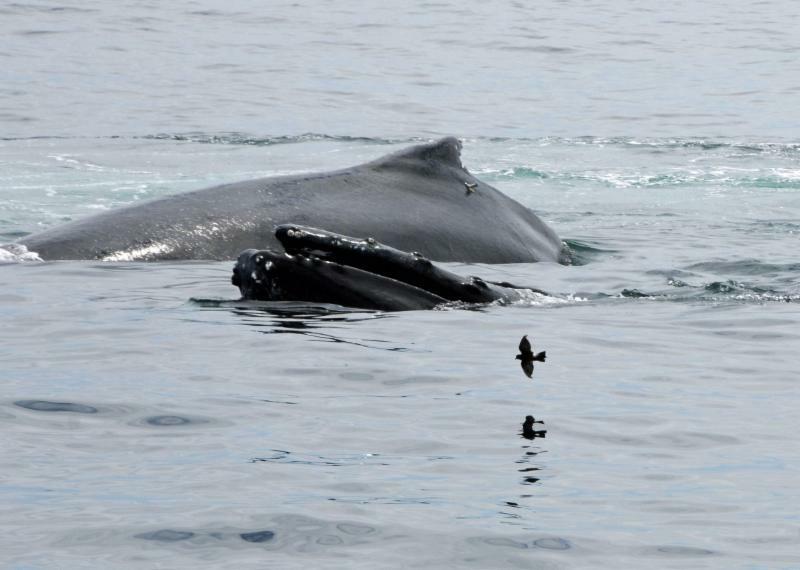 Twitter @OceanRiverInst for wave breaking news and updates.